This is the summary of consumer reviews for Razor Rip-Rider 360 Drifting Ride-On. The BoolPool rating for this product is Excellent, with 4.60 stars, and the price range is $75-$85. The Rip Rider 360 Drifting Ride-On trike takes a spin on the classic 1970s three wheelers. The dual-inclined caster wheels take drifting and spinning to a new level of fun. It is easy to put together and is quite sturdy. The adjustable handbrake and rubber grips provide the necessary support for the rides. The 360 degree spin allows for the ultimate spinning action for kids to enjoy. 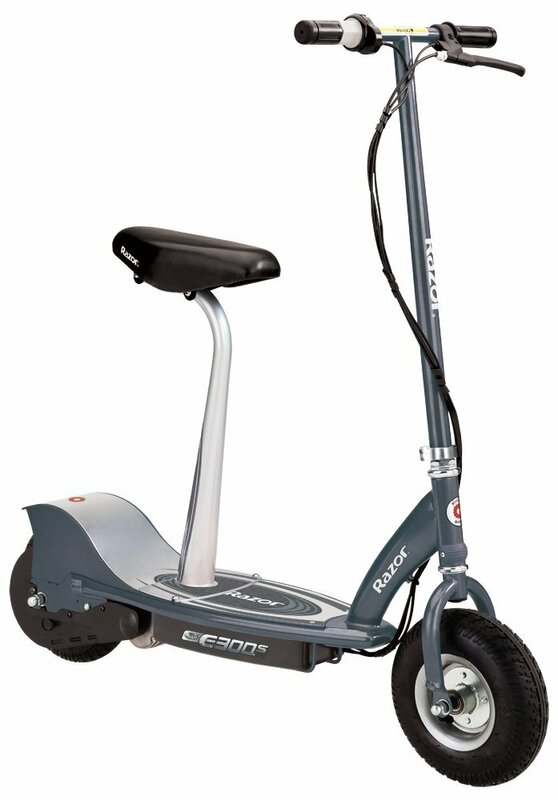 It rides well on rough pavement as well as smooth cement drives and is easy to pedal. The large wheels on the front ensure a smooth ride with good control. It is a perfect fit for taller kids. It is good to have safety gear for this riding toy. The front tires wear out fast and need replacement. Overall, this bike is well worth the money and the 360 degree fun factor is huge. Kids love to ride this RipRider and spin circles. 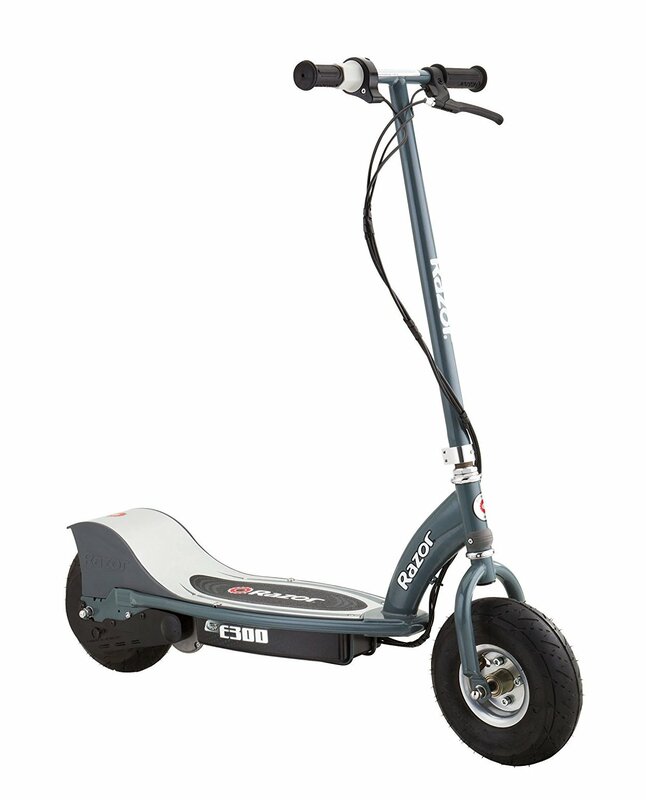 Cruising around the block with Razor Rip-Rider 360 Drifting Ride-On is a great outdoor activity. My boy loves it...make sure your kid wears a helmet though! Bought as xmas gifts for a two boys (5 and 6) and they both loved this gift. These boys are really ruff with everything. Kids (of all ages) love it. VERY HAPPY BOYS = VERY HAPPY MOM!. I noticed the little boy that was riding it was having a great time and it seemed to interest all on lookers. I BOUGHT 2 OF THESE FOR MY TWIN BOYS FOR THEIR 9TH BIRTHDAY. The rip riders are a big hit with my grandchildren! 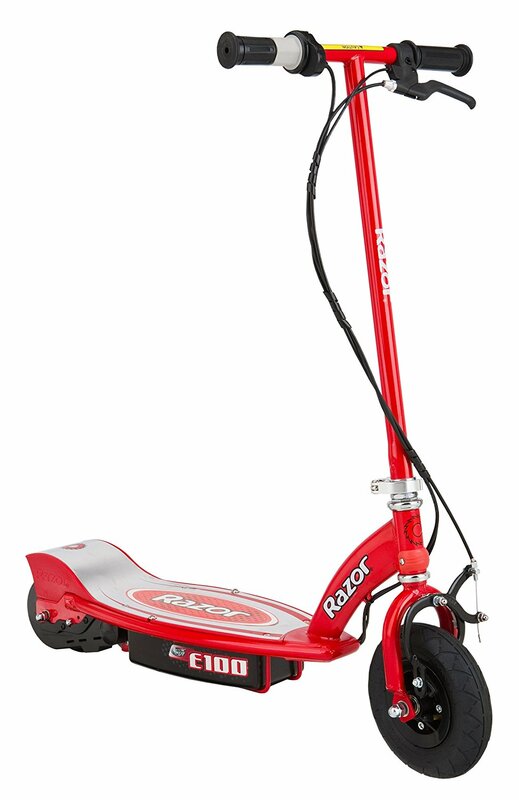 I purchased 2 Razor Rip-riders 360 last Christmas for my grandsons ages 4 & 7. This's probably one of the best toys that I've ever bought my Grandson. First off we got a really great deal through Amazon on this product...I was so excited the day I received it and my husband assembled it that night! We purchased this for my 8 year old son for Christmas. Because we'd read a review where the Razor Rip Rider was purchased for a 6 year old boy and they said it was too big for him. Both boys are tall for their ages. This was the best purchase for our 7 year old this Christmas. My grandson loves it and we did purchase elbow and knee pads with gloves as there'll be a few tumbles at first...but once he got the hang of it he was Born To Ride!!!!! Bought for my son's 6th birthday. I order this for my sons 9th birthday right before Christmas. 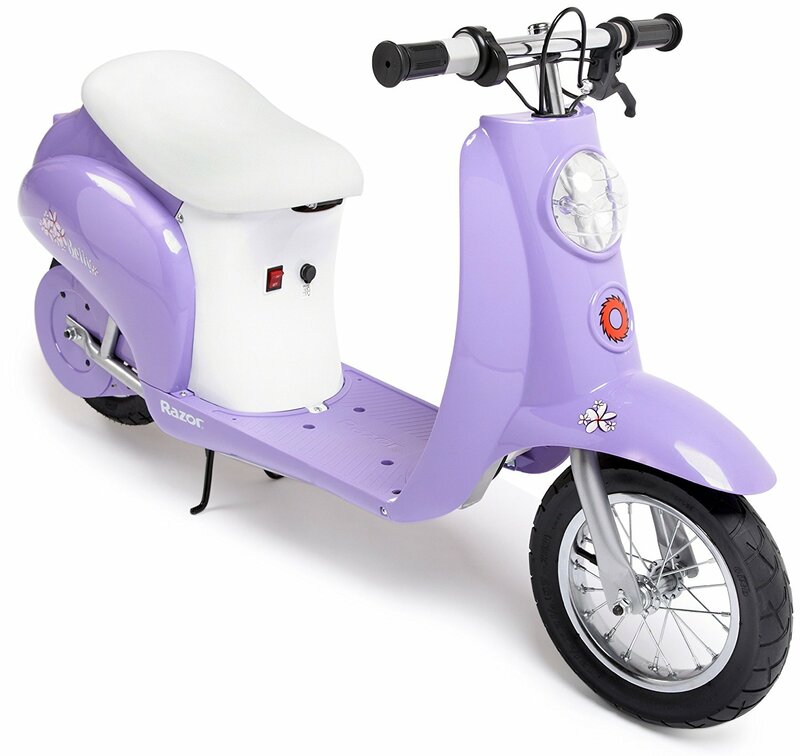 I ordered this bike for my son's birthday. Our son is 36.5 inches tall. My Son loves this razor. We ordered this for my son's fifth birthday. I ordered this for my son's 9th birthday after seeing a kid in the park enjoying it and then a neighbor's son as well. 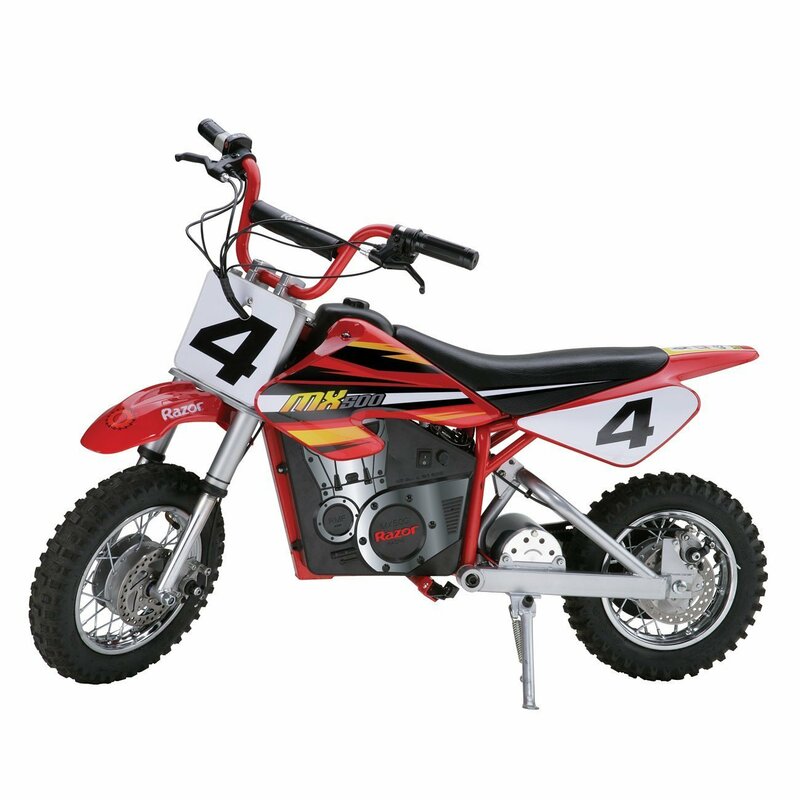 After reading the various reviews, I ordered the Rip-Rider for my son's 6th birthday. 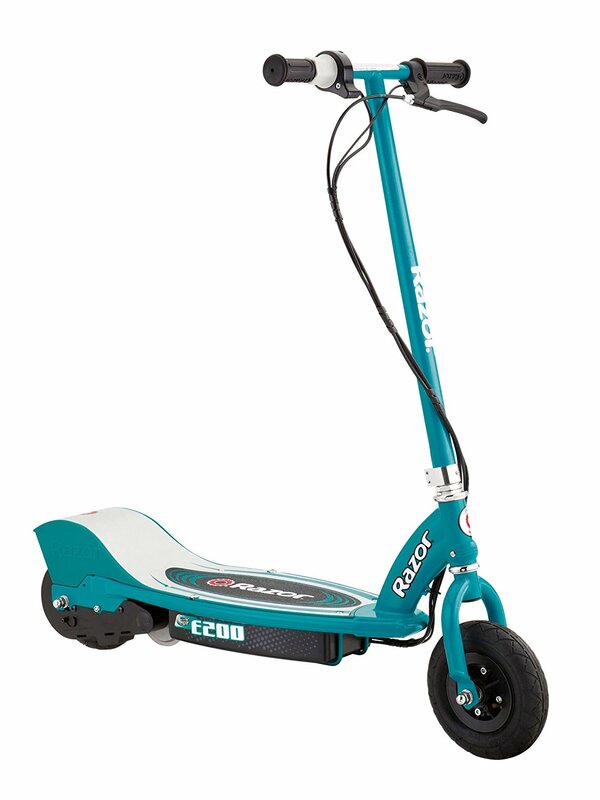 My son is 43 inches and not tall enough to use this scooter that I bought him for Christmas. My son is a bit tall for his age. My kids absolutely love this thing, big kids and little kids. Kids play with it for hours, ages 6-12. Overall, seems fun, slightly dangerous, make sure your kids wear a helmet when they ride it. Kids will spend hours with this - I'd call it more of a "bigger" kids' Big Wheel, and the pivtoting back wheels really make it interesting and fun for them. your kids will enjoy hours and hours of 360 fun. My kids just received these for their birthdays from my parents. My kids (ages 4, 7, 10 & 12) fight over this everyday, even 6 months after we got it! My kids are having a blast. You kids will more likely than not wear this thing out with hours and horus of use if they're like the kids aroundmy house!. This's the official "cool thing" at our house amoung my kids, the neighbors, their friends, etc. My daughter is 10 and weighs over 100 pounds so finding age appropriate while weight compatible toys is tough. My kid got this for christmas and absolutely loves it. My son received this for Christmas and loved it and my nephew loved it as well but didn't get it for Christmas. The boys recieved this for christmas and love it. We got her the Rip Rider for Christmas and she absolutely LOVES it. We bought one for our three boys for Christmas - they all love it. Bought this for my 5 yr old grandson for Christmas. The rip razor us awesome- this was a Christmas present for my almost 6 year old and he LOVES IT. My 7 year old son absolutely loved this rip rider! 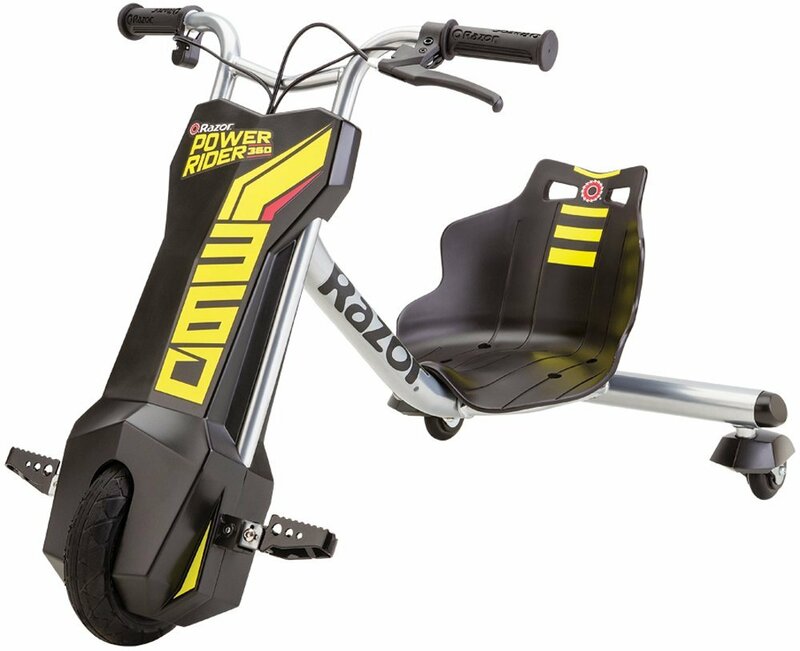 Got this for my 5 year old for Christmas, he loves it, his legs are a little short for it and the seat isn't adjustable but he's able to peddle and loves how fast he could go. They each loved the trike. He loves the spinning and low riding fun he's on this bike!. A lot of fun spinning. The actual 360 spinning is really.cool. It rides so smooth, easy to pedal and they can spin around!. My son loves this trike!!! He's alot of fun spinning down the driveway. 360 spinning is the best part! Fun Fun Fun Can't get my 5 and 7 year old grandsons off this thing. They're the most fun riding toy around. It's a really fun toy! The bike is amazingly fun! The Rip Rider is just plain fun. Never had a toy the kids had so much fun! Great bike lots of fun.My kids tried it at a friends house and didn't want to leave. Its fun for all ages. All the kids love it and haven't gotten tired of riding them at all, in fact I think the tires will wear out before the fun wears off. All the kids, ever the older ones (teenagers)have fun with the rip rider. My two sons, ages 5 and 6, love them! Both my daughter and son love this toy. She was right my two boys love it age 7 and 5 all the other kids on the block also love playing with it. We bought this for our youngest child age 7 . He absolutely loves this. I bought this for my 5 yo and he loves it! Our 5 year old loves this Razor. His older brother, who's 7, also loves it. My kids are having a blast with this big wheel. I tried to get new wheels,but it'd cost a fortune to replace.The Razor Company needs to redesign the wheels so they'll last.Can't ride the rip rider without wheels. It doesn't seem to be a replacement for the old "Big Wheel". 2) front wheel to fork. The rear wheels are actually skateboard wheels that rotate 360 degrees. Then a chunk broke off one wheel and the other wheel wouldn't turn. 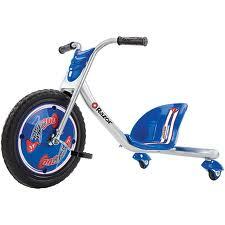 Bought this for my older grandsons who didn't like the old-fashioned big wheels. After grandsons riding through two sets of tires on their Big Wheels,I decided they needed something stronger and different tires. It's unusual with the big wheel in the front and floating little wheels in the back. Its the only big wheel that I know of that'll free wheel (the pedals dont have to spin with the wheel) adding to the ease of fun and tricks you can to. Kids love the ripriders, neighborhood kids love riding them too! 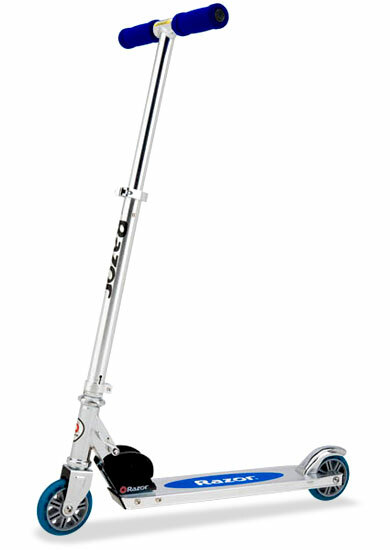 All the kids that come over love to ride this razor too. bought 2 for my kids and they absolutely love them. The kids love them and it was so much fun watching the kids race. Great my kids love these actually something fun for kids that they've to supply their own power outstanding product. All my kids love it even my 19yr old wishes he could ride it. Kids on the block who love it range in age from 4-11. All the kids on the block love it!!! My son loves it,, rides it everyday. MY 6 YR OLD SON LOVES RIDING THIS, HE CAN EASILY MAKE THE 360'S. The kids all love it and are always riding. I first saw this bike when my neigbor's son was riding it. Son and daughter love it no complaints from them but my wife wants one big enough for her to ride. It's about the only riding toy he rides anymore. The ride is very smooth and he's even able to ride this on our somewhat hilly ride up to the park (unlike his more traditional 'big wheel' type bike which is too hard to ride uphill). My 9 year old daughter also loves to ride it. My son has this and LOVES it.